We produce and supply our customers accumulation tanks with different capacities depending on the size of the boiler used and the specific needs of hot water. 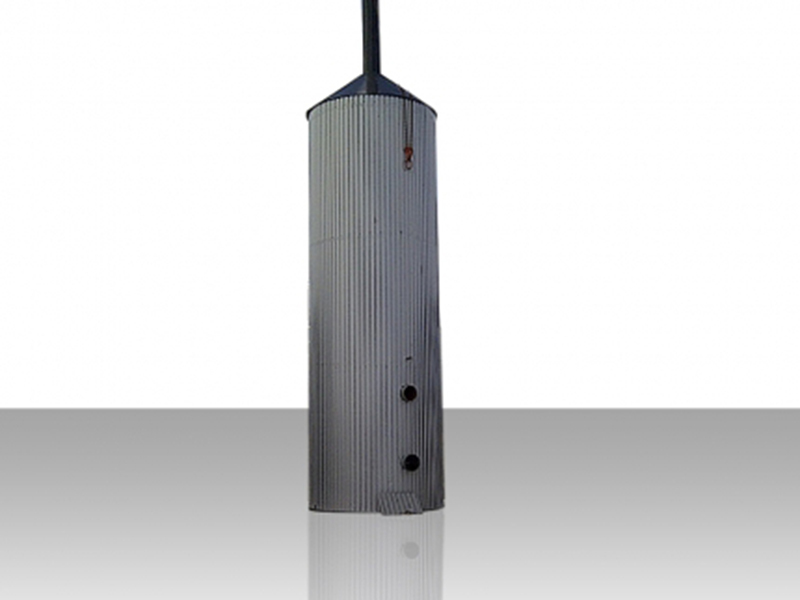 Specific advantage of our accumulation tanks is the passing of the chimney for exhaust gases through the center of the tank, which helps to further utilize the temperature of exhaust gases also protects the chimney from condensation because it is constantly heated. The tanks are welded from steel, insulated with rock-wool 100 mm thick and lined with Swedish corrugated LINDAB steel factory painted by color on customers request. For protection from rain and snow the accumulating tanks are equipped with a conical tin roof. 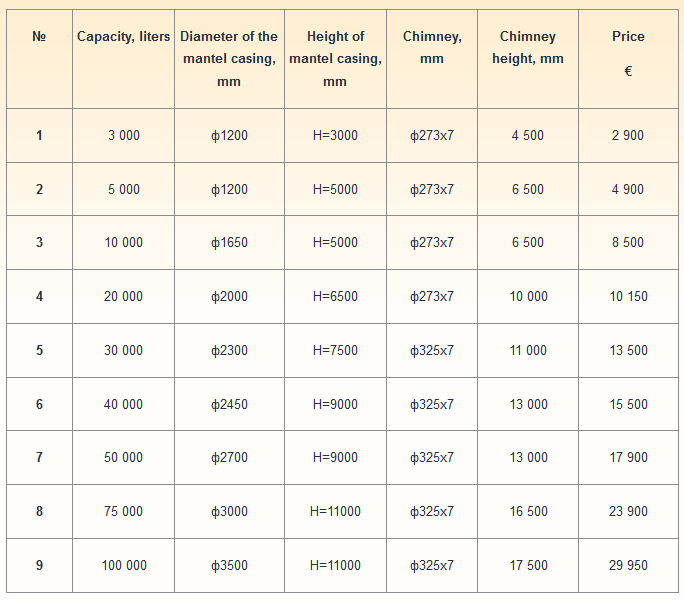 At customers request we can provide a metal ladder to reach the top of the chimney for cleaning and measurements of the parameters of the exhaust gases. In the lower part there is the chimney’s revision for cleaning purposes. To increase the efficiency of the boilers for burning whole bales of straw of the BSB series, we recommend combining them with an accumulating tank for hot water, which provides the required amount of hot water in the periods in which the boiler is not working – for cleaning, fueling and reach operating temperature regime of the boiler.